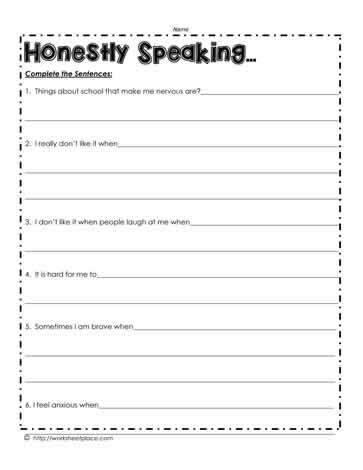 This worksheet helps children to look at themself and be honest about what makes them nervous or what makes them anxious. How does a child feel when they are laughed at for something. Why do they think others are laughing? What can they do about it?